Quitman, TX: BankTexas N.A. is now live with an upgrade from their EZswitch® 2010 Plus system to EZswitch® G4. The upgrade includes reducing their investment in hardware resources by migrating their operating platform to a virtual VMware environment. The G4 “at-a-glance” view of the debit payment network and intuitive navigational tools will allow every user to easily utilize the new system’s full capabilities. BankTexas will be utilizing CSFi’s proprietary Card Production client for sending card maintenance files to EFT Source Inc. and will also be sending a batch plastic plastics file to the Shazam® EFT Network. This robust, reliable and globally proven platform provides a flexible and scalable solution for financial institutions who wish to enhance customer service offerings, minimize costs, expand revenue sources and maximize data and transactional security. 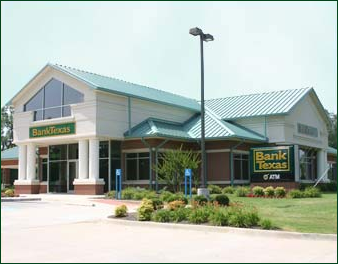 For over 100 years, the goal of BankTexas has been to provide both commercial and retail customers with industry leading products and services. They recognize that as technology’s role in our daily lives continues to change, banking infrastructure must evolve as well.